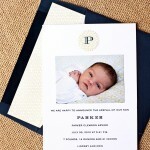 once you’ve kept the baby’s name under wraps for nine months, it’s high time to show it off! 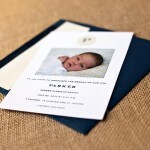 a simple initial atop the announcement is the perfect way to do just that. 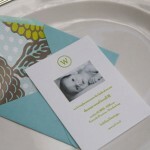 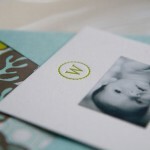 we love it printed on patterned paper, surrounded by a sweet circle or just plain jane. 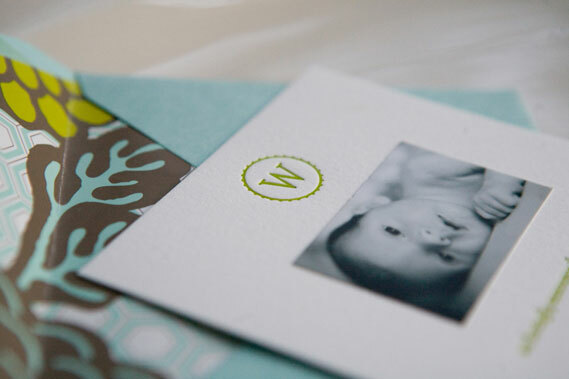 available in flat print or letterpress (shown: wood).